Watch out for Red Flags – and use them to create your Bargepole List. One of the most important skills in stock investing is knowing when to sell. Just as important is knowing when not to buy in the first place. You can’t rely on equity analysts. Only 10% of their recommendations say “Sell”, because their real customers are the companies themselves, not investors. But you can make use of red flags. A red flag is any characteristic that identifies a stock as being more likely to have problems in the future. There is no universal standard for what constitutes a red flag. Each investor will have his own list, based on his approach to investment, and his experiences in the past. As we will see, a lot of red flags are found in a company’s accounts. Looking for problems with companies – and in particular with their accounts – is a long-established tradition,2 but it came back into fashion after the collapse on Enron in 2001. Although accounting can be seen as a set of fixed rules, in practice there is a lot or wriggle room. Data can be presented in multiple ways, tempting a company’s management to use the approach that flatters their performance the most (and potentially triggers extra executive compensation). The Cash Flow statement is the most difficult to manipulate. When sales are increasing, so should cashflow. Valuation is the most subject to interpretation, since it can be too high or too low. Too high is the easiest to deal with – a ratio like price to sales (PS) can be used. A high PS often indicates a “story” stock that has been driven too high by investors keen to believe in a rosy future. At the other end of the spectrum, one of the most common pitfalls to avoid in stock-picking is the value trap. Stocks are often cheap for a reason. A value trap is a stock that looks like a bargain, based on valuation metrics like price to earnings (PE) or price to book (PB), but which fails to recover and potentially goes bust instead. This is often because of structural / secular changes in the company’s business, rather than simple business cycle pressures – the “dying company in a dying business” scenario. Value traps need to be separated from genuine value stocks by using the other three areas of investigation. Financial strength is also relatively straightforward to assess. The Piotroski F-score is a nine-point checklist, developed by Joseph Piotroski at the University of Chicago in 2000. The filter was the most successful stock screen during the 2008 crisis. It was initially a filter for value (low PB) stocks that looks for companies that are profit-making, have improving margins, don’t employ any accounting tricks and have strengthening balance sheets. Piotroski himself liked stocks which scored 8 or 9, and calculated they would outperform the universe of cheap (low PB) stocks by 7.5% pa in the US (1976-96). Shorting the worst stocks at the same time increased outperformance against the broad market to 12% pa.
Further work by Societe Generale analyst Andrew Lapthorne has shown that a higher F-Score predicts higher returns for stocks at all valuation levels. The filter has been shown to improve the performance of income portfolios as well as value strategies, and has been used successfully in combination with Joel Greenblatt’s Magic Formula. The filter works best with small and medium-sized firms with poor analyst coverage and low trading volumes. It seems to exploit an information asymmetry. In the context of red flags, a score of less than 4 is a bad sign. Those scoring 2 or less were five times more likely to go bankrupt or delist. Note that six of the nine measures look for positive change in the company’s fundamentals. In this sense it is a “fundamental momentum” measure. Apart from the F score we met earlier, there are two other defensive stock screens that can be used to identify red flags. One is the Altman Z score and the other is the Beneish M score – for some reason this area of investing is an alphabet soup. The Altman Z-Score – created by US finance Professor Edward Altman in 1968 – is a checklist of five weighted ratios to identify stocks that might be at risk of bankruptcy. Over 31 years to 1999 found the Z-Score was 80-90% accurate in predicting bankruptcy in the following year. A Z-Score of 3 or more is considered safe, and one of less than 1.8 indicates that the company is likely to go bankrupt in the next 2 years. Note that the Z-Score doesn’t work for financial companies. The original work was done on manufacturing companies, and an alternative calculation can be used for non-manufacturers. The third defensive stock screen that can be used to find red flags is the Beniesh M-score. This is a checklist created by finance professor Daniel Beneish to identify stocks that are manipulating their reported earnings. It was used to identify Enron as an earnings manipulator. earnings; accruals are calculated as the change in working capital other than cash less, depreciation. 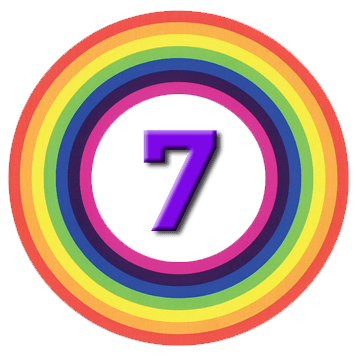 A M-score greater than -1.78 indicates a high likelihood of overstated future earnings, and lower future returns. 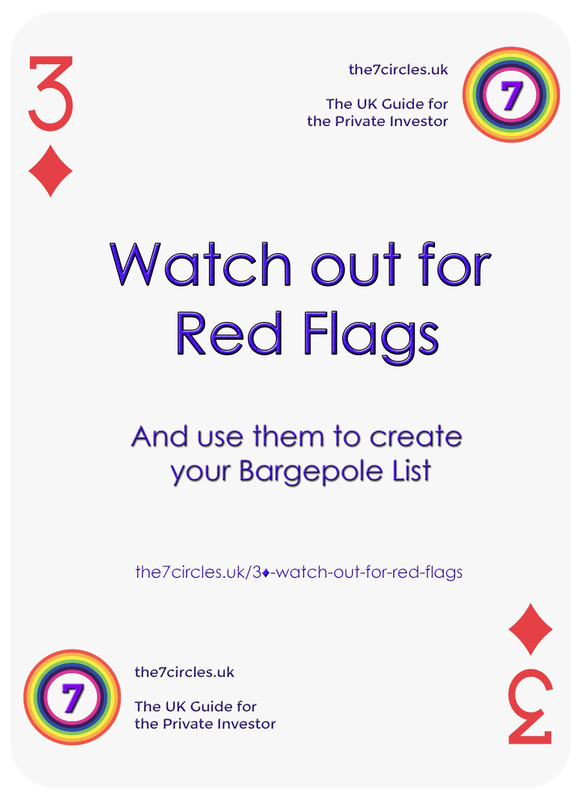 Many investors use red flags to create a Bargepole list of stocks that they would never buy. Two UK investors who make their bargepole lists public are Paul Scott – who writes the excellent daily SmallCap value report for Stockopedia – and WheelieDealer (with his Wheelie Bin). In addition, Paul is currently steering clear of the oil and gas sector following the oil price crash a year ago. He also doesn’t like “serial disappointers” – companies that have been promising jam tomorrow for several years – or director greed. Wheelie lays out his principles before the list of companies. He starts with general industry exclusions (small-cap mining and energy stocks, biotech and pharma, small cap agriculture) as well as a catch-all “don’t invest in anything that you don’t understand”. He also excludes on a country basis: China, Russia, Africa, Malaysia, war zones, most of Middle East. He doesn’t like industries in structural decline, or Next Big Thing stocks. He doesn’t like companies with a small number of big customers, or those who rely on large one-off projects, or a single product, as they will have lumpy revenues and profits. He won’t buy stocks after a recent profit warning, or those with ongoing corporate governance issues, legal battles, shorting attacks, egomaniac directors or share overhangs. He doesn’t like stocks with no control over the price of their product (commodities companies, distributors, suppliers to retailers etc). Director sales after a run-up in the share price are a Red Flag. For most investors, it’s easier to avoid a bad stock than it is to sell it once you have bought it. So use the techniques discussed above to find red flags, and use red flags to build your bargepole list of stocks to avoid. If you’ve never missed a flight, you’re probably spending too much time in airports. Taxes matter - because you can't spend pre-tax-income.